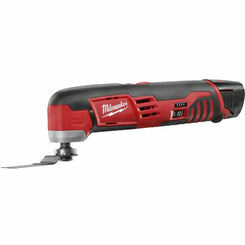 Milwaukee 2446-20 M12 Grease Gun - Tool Only. 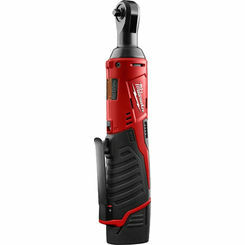 The Cordless Lithium-Ion Grease Gun, like most of Milwaukee's tools, delivers the highest max operating pressure in its class to help you handle heavy-duty applications. 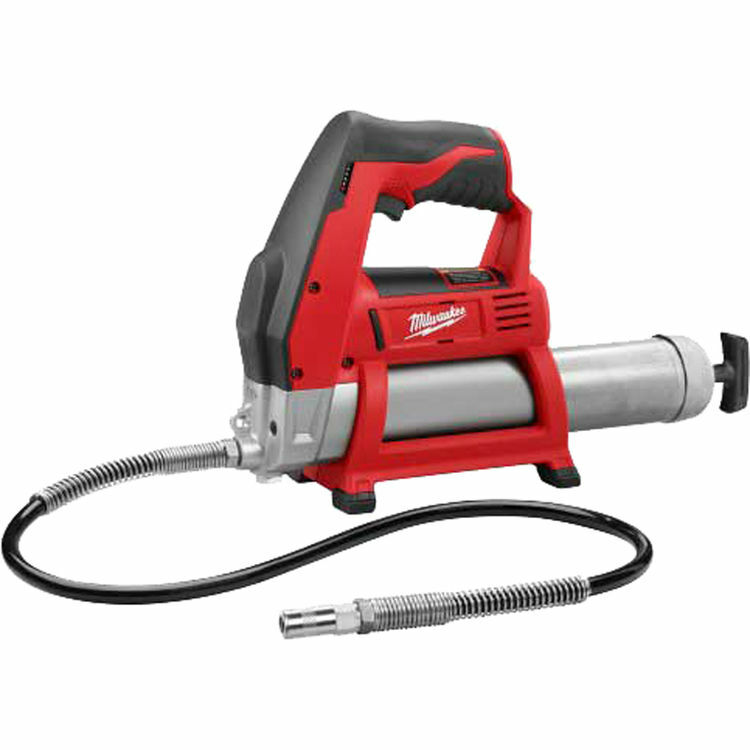 This Milwaukee 2446-20 M12 Grease Gun is capable of delivering 8,000 PSI's of operating pressure. This high quantity of power is ideal for heavy-duty machinery, freezing temperatures and clogged grease fitting applications. 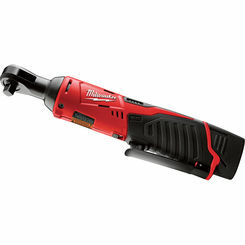 The Milwaukee 2446-20 M12 Grease Gun is powered by a M12 REDLITHIUMTM Battery (sold separately), and has the capacity to dispense six grease cartridges per charge. Last but not least this Grease Gun is lightweight and comfortable to use. The ergonomic handle offers greater comfort during prolonged use. The gun comes with a 36” flex hose with spring guard and grease coupler. Shipping Dimensions 10.4" x 4.0" x 19.7"
I'm an operating engineer in the demolition industry and use this grease gun several times a week on heavy equipment. I've used it for three years and never had a problem. I've used other brands of grease guns and this one, by far is the best. The battery last a long time and there is more than enough power to push grease into the fittings. I highly recommend this product. Quality non-functional product - took first one I bought back to store because rubber seal too large - replacement same problem. Call customer support who will send out a new rubber seal that will fit into standard grease cartridge. Obvious design flaw since most of us will not bulk load grease guns. I purchased this grease gun on March 25, 2015 ran not quite three quarters of a tube of grease through it before it stopped pumping out grease. 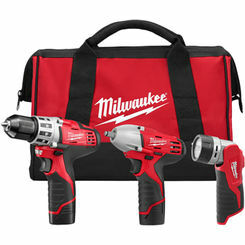 Thanks Milwaukee for such a Innovation. It change my life.